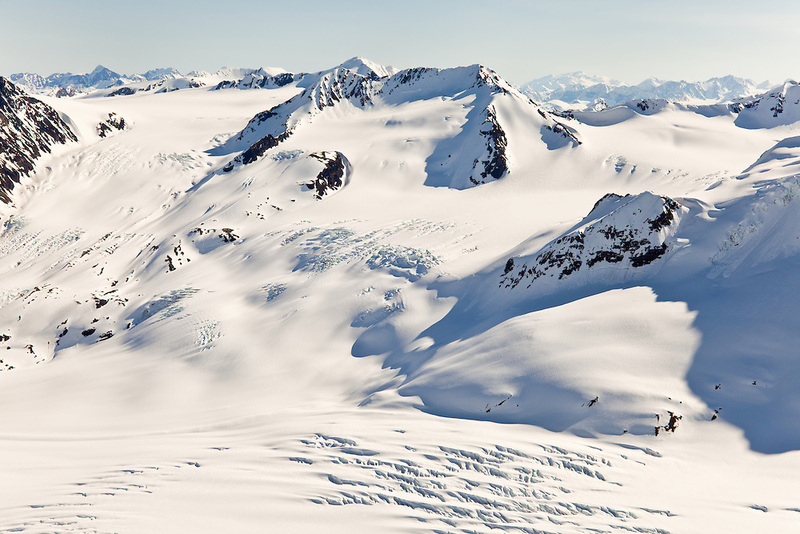 Deep snow layers over the underlying icecap and glaciers of the Chugach Mountains in Chugach State Park near Anchorage in Southcentral Alaska. Spring. Morning.